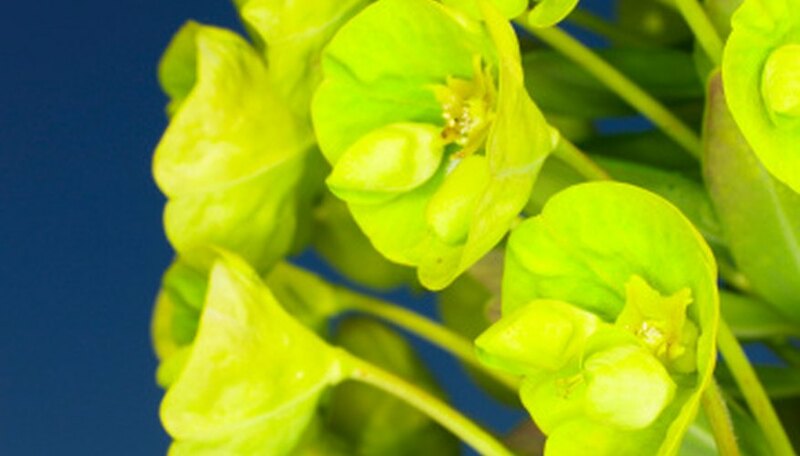 The genus euphorbia consists of a vast group of flowers, incorporating about 2,000 different species. Some are weeds and others are annuals, perennials, trees or shrubs; therefore, pruning a euphoria should be based on the type that is growing in your landscape. That said, according to the University of Rhode Island, most garden euphorbias like Euphorbia rigida, can usually be pruned in a similar manner. Prune euphorbia in the summer when it is finished blooming. Choose the stems that have just flowered for pruning. Leave the stems that did not flower, if applicable. Cut the chosen branches, making clean cuts right above a healthy parent branch. Or, clip them back to the base of the plant if they originated from there. This depends on the variety. Repeat yearly.